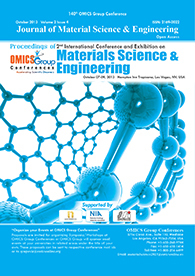 Conference Series LLC Ltd invites all the participants across the globe to attend International Conference on Materials and Polymer Chemistry Bangkok, Thailand. Sujitra Wongkasemjit has her expertise in advanced material synthesis and passion in improving environment. Her research goal is to support the environmental protection policy. With 30 years of her career, more than 130 publications in international peer review journals, two books and more than 200 international presentations have been achieved. At least 10 research awards were given to her. She has built experiences in both research and teaching in university. High-purity H2 is necessary for Proton Exchange Membrane (PEM) fuel cells and preferential oxidation of carbon monoxide (CO-PROX) is widely used for this purpose because of its low cost and ability to reduce CO content to less than 10 ppm. During the last decade, several types of catalysts have been investigated to find a proper catalyst for CO-PROX, including its availability and stability. Commercially available precursors were started to prepare various catalyst supports, and both gold (Au) and platinum (Pt) catalysts were extensively studied. It was found that CO conversion reached 100% at 170-220 °C while its selectivity was in a range of 40-60%. 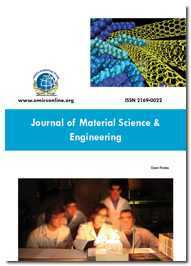 Recently, mesoporous ceria, ceria-zirconia and ceria-titania supports, prepared by nanocasting technique, were studied and copper (Cu) was used as catalyst. Interestingly, the 100% CO conversion was also achieved at a lower temperature (130-150 °C) than those obtained from Au and Pt. However, the same selectivity range was observed. 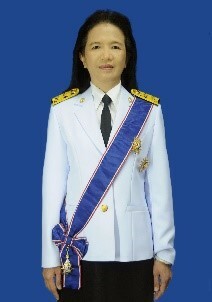 Khantong Soontarapa has her expertise in membrane technology and chemical safety. She is currently an Associate Professor in Department of Chemical Technology, Faculty of Science, Chulalongkorn University, Thailand. 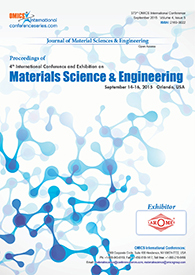 She is interested especially in chitosan membrane application for water and wastewater treatment, pervaporation, gas separation membrane, fuel cell membrane and development for health and biomedical applications. Biodiesel from Palm Fatty Acid Distillate (PFAD) with Free Fatty Acids (FFAs) of 87.1±1.3 wt.% was prepared in this study. Symmetric dense uncross-linked and cross-linked chitosan membranes were provided from the local chitosan membrane manufacturer. The process was comprised of esterification reaction followed by transesterification reaction without intermediate washing in a 2 L chitosan membrane reactor that operating under pervaporation principle. The performance of the internal-pervaporation-assisted was compared with the external-pervaporation-assisted types. In view of membrane performance, it was found that the uncross-linked chitosan membrane was more desirable than the cross-linked one because of its higher hydrophilicity with the same rejection properties of methanol, PFAD and methyl ester. The optimum esterification condition for internal uncross-linked membrane reactor was at PFAD to methanol ratio of 1:15, 2.0 wt.% H2SO4 and 20 ml/min methanol feed rate for 180 min. The esterification product containing FFA and methyl ester of 1.24±0.01 and 90.7±0.1 wt.%, respectively, was obtained. That for the external type was at PFAD to methanol ratio of 1:15, 2.0 wt.% H2SO4 and 20 ml/min methanol feed rate for 120 min. The product from the external type reactor contained FFA and methyl ester of 1.12±0.01 and 93.0±0.2 wt.%, respectively. The transesterification condition was the same in all reactors at 1:6 of PFAD to methanol ratio, 1.0 wt.% NaOH and 20 ml/min methanol feed rate for 60 min. The properties of biodiesel from this study after transesterification were corresponding to Thai standards and/or ASTM D6751-02 except the acid value. The ester content of oil from this study was 96.6±0.0 compared to ³96.5 of Thai Standard. Its acid value was 0.7 compared to £0.5 for Thai Standard and £0.8 for ASTM D6751-02.